Paul George‘s love for gaming and Sony’s revered PlayStation console has been well documented to this point. 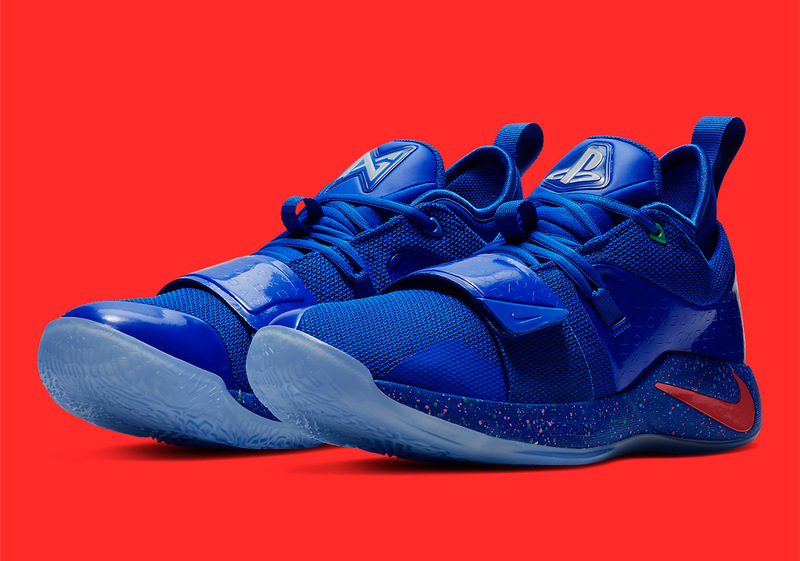 Between the light-up version of the Nike PG 2 and the now-numerous PG 2.5 creations that bear the popular gaming system’s branding in numerous different fashions, PlayStation PG sneakers are becoming one of the most replicated collaborations in basketball footwear. With another clean co-created effort on the way, one thing that has remained consistent throughout these many iterations has been “Paul George” written on the heels of the left and right sneaker respectively in the instantly recognizable PlayStation text, with the all-star wing’s signature logo working opposite of Sony’s PS logo on the tongues and insoles. This particular variety equips a striking royal blue color scheme with galactic embellishments that include a paint-splattered midsole and starry custom insoles. Much like the previous grey pair, an all-over pattern inspired by the system’s controller buttons takes shape, with it coming by way of an embossed tonal hit on its midfoot strap this time around. No official word regarding this pair’s release has been reported just yet, but rumors are pointing to a tentative December 26th drop. Enjoy a first look at this bold blue variety below and keep it locked for any news and updates as we have them.